LED Lamps replace incandescent 194 and 168 bulbs. Sunlight-visible, right-angled 9 mm (T3-1/4) AUT194 WedgeLED Lamps feature either 4 Super Red (630nm) or Super Yellow (590nm) discrete SML1209-OER-TR or SML1209OPY-TR SMT LEDs, respectively. Discrete LEDs are mounted on printed circuit board integrated into 9 mm wedge base, which are plug-compatible with automotive manufacturers' 12/14-Volt DC systems. Red and yellow AUT-194 LED lamps output 5000 and 6000 mcd, respectively, with little or no heat. 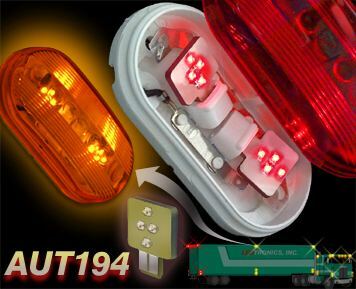 TORRANCE, CA - April 24, 2002 - LEDtronics announces sunlight-visible, right-angled 9mm (T3-1/4) AUT194 WedgeLED Lamps that are designed to replace incandescent 194 and 168 bulbs in side marker indicators of trailers, campers and trucks. AUT-194 LED lamps feature either four Super Red (630nm) or Super Yellow (590nm) LEDtronics discrete SML1209-OER-TR or SML1209OPY-TR SMT LEDs, respectively. 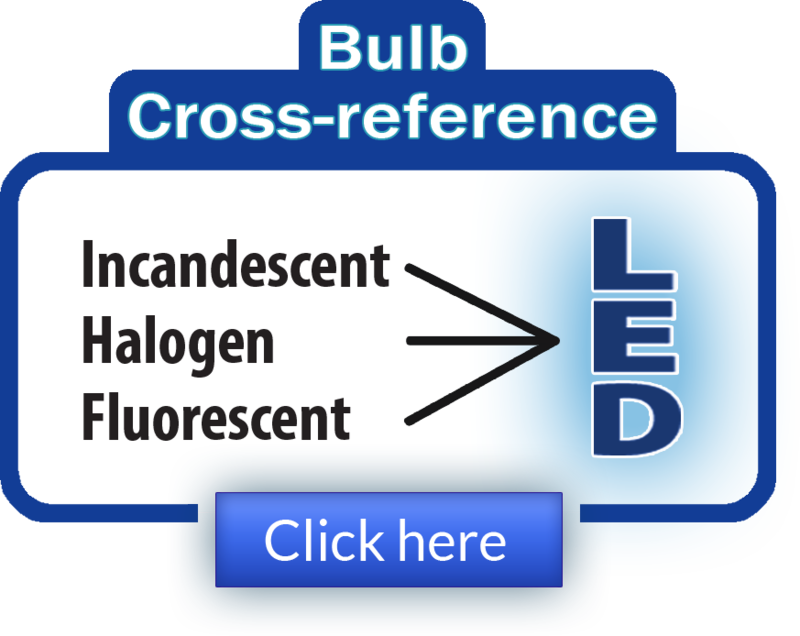 The discrete LEDs are mounted on a printed circuit board that is integrated into a 9mm-wedge base. AUT194 LEDs illuminate the entire surface of the fixture and pass standard J592 of the Society of Automotive Engineers. Red AUT194 LED lamps output 5000mcd. Yellow lamps emit 6000mcd. Integrating solid-state electronics with advanced LED technology, LEDtronics' AUT-194 LED lamps offer automotive applications years of reliable performance, which represents potentially millions of dollars in reduced repairs and ancillary costs. The AUT-194 LED lamps advantages over equivalent incandescents are not limited to automotive repairs and accidents, but extend to collateral issues such as property damage claims, productivity losses, medical expenses, legal and court costs, etc. . . .AUT-194 LEDs offer economic savings far greater than offered by the price of the incandescent bulb. LEDtronics' AUT- 194 automotive LED bulbs feature industry-standard 9mm wedge bases that are plug-compatible with most major automotive manufacturers' 12/14-Volt DC systems. 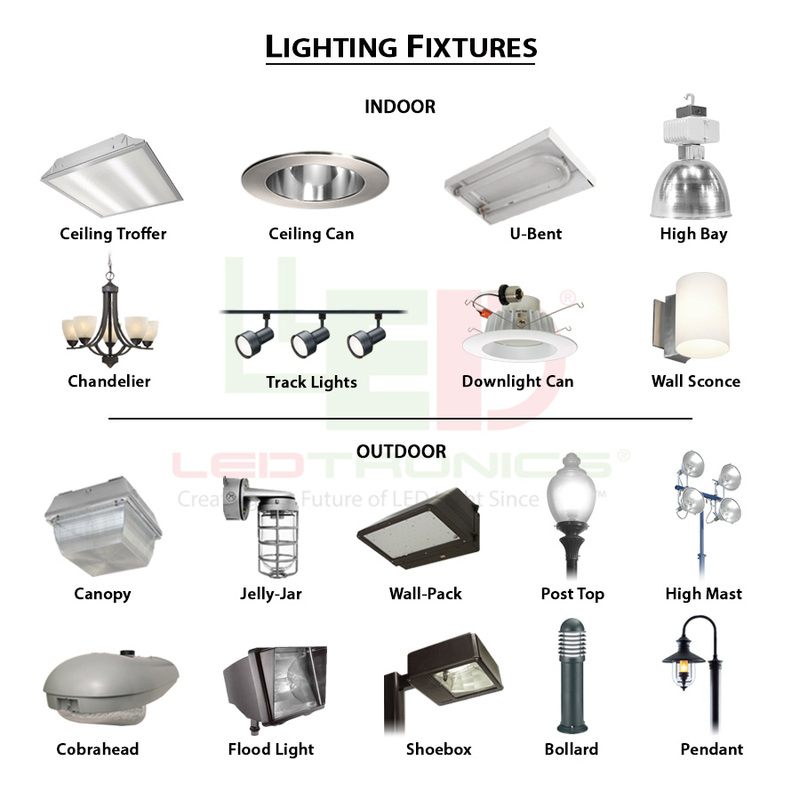 Founded in 1983, LEDtronics leads where others only follow when it comes to designing, manufacturing and packaging state-of-the-art LEDs to meet the world's constantly changing lighting needs. Our inventive product line encompasses an array of direct incandescent lamp replacement Based LED Lamps, low-cost snap-in and relampable Panel Mount LED Lamps and holders, high intensity sunlight-visible Discrete LEDs, PCB LEDs circuit board status indicators, surface mount diodes SMT LEDs, full-spectrum rainbow RGB LEDs and Infra-Red (IR) LEDs.